The information presented on this page was originally released on May 17, 2013. It may not be outdated, but please search our site for more current information. If you plan to quote or reference this information in a publication, please check with the Extension specialist or author before proceeding. 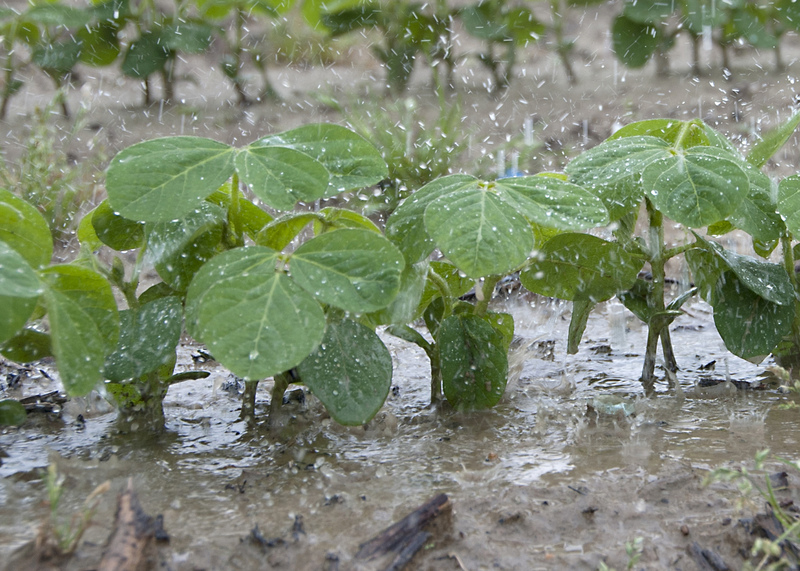 MISSISSIPPI STATE -- Poor weather has created so many rain delays that most of the nation’s row crop planting is behind schedule, and Mississippi is even farther behind than other states. Before he came to MSU in 1991, Flint spent 18 years as a crop consultant, so he spoke from a long perspective in agriculture. Grady Dixon, an associate professor of geosciences at MSU, said the state’s abnormally cool and wet spring has broken some records. “It has been unusually wet, both in the frequency and intensity of rains. This has been coupled with cooler temperatures that result in less evaporation,” Dixon said. The U.S. Department of Agriculture reported that these conditions allowed only four days suitable for fieldwork in Mississippi during the two-week period ending on May 12. According to USDA’s May 12 Crop Progress and Condition Report, with the exception of corn, Mississippi row crops are significantly behind schedule. Corn was 91 percent planted, when typically it is 99 percent complete. By mid-May in the past five years, cotton has been 52 percent planted; rice, 86 percent; soybeans, 71 percent; peanuts 40 percent; sorghum, 66 percent; and watermelon, 93 percent. This year, however, cotton is only 7 percent planted; rice, 12 percent; soybeans, 17 percent; peanuts, 1 percent; sorghum 6 percent; and watermelons, 32 percent. John Michael Riley, an Extension agricultural economist, said Mississippi is farther behind the rest of the country, which is also well behind normal planting progress. Late-planted crops face greater insect and disease pressure, and they often reach peak water demand during the summer’s hottest and driest weather. Few financial tools exist to help growers limit the risks associated with late planting, and the crop insurance sign-up deadline has passed. Producers with crop insurance still have some time to get their crops in the ground. Brian Williams, an Extension agricultural economist, said markets have responded to planting progress in recent weeks. “I think crop prices are currently supported at least in part by the slow progress. However, a few positive weather reports have caused sharp daily drops in prices on at least one occasion over the last week,” Williams said. Planting is progressing at the slowest pace since 1990, but Williams said producers are not too concerned yet. Lester Stephens, Extension agricultural agent in Washington County, said the Delta has experienced severely delayed planting in the past, but about three weeks of good weather should give growers the chance to catch up.